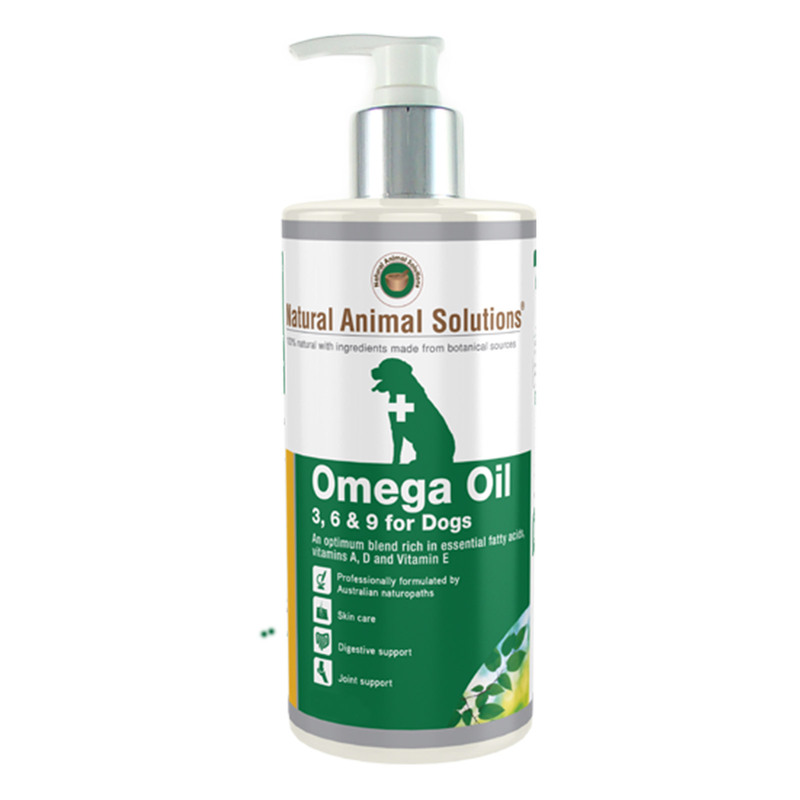 Natural Animal Solutions Omega 3, 6 & 9 oil is a rich dietary supplement for dogs. This joint and skin care product is finely blended with essential fatty acids, vitamins A, D and E. These dietary nutrients play a crucial role in maintaining skin and joint health. Natural Animal Solutions Omega Oil assists in reducing skin odour, promote digestion, maintain a healthy immune system and support joints. The oral solution helps support heart and brain healthy functioning. 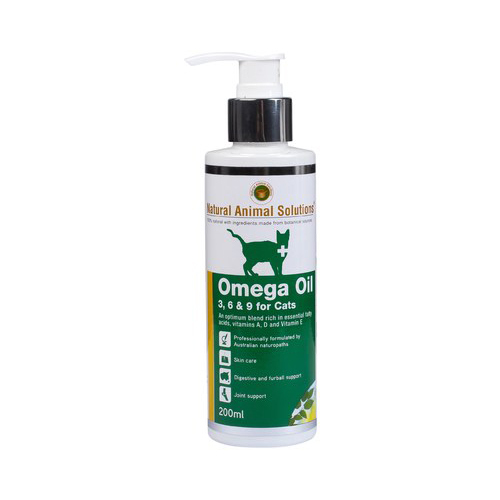 Natural Animal Solutions Omega 3, 6 & 9 oil is a fine blend rich in essential fatty acids, vitamins A, D and vitamin E. These ingredients are specially and uniquely blended to nutritionally improve your pet’s health and enhance skin and coat sheen. NAS Omega 3, 6 and 9 Oil comes in different pack sizes for various animals. At initial stage to maintain optimal health, follow dosage rate for 3 – 4 weeks. For maintenance, reduce to a ¼ of indicated dosage. Added vitamin E enhances skin and coat radiance. Can see my pet's coat glowing and the texture has also improved. Would surely recommend it if you're looking to enhance your pet's coat look. This is an awesome product. I am using this solution for my dog from last year and will continue to do so. As this product maintains a healthy immune system and support joints.